Our philosophy “ningenmi” is about commitment to continuous learning and sincerity in service to our guests. 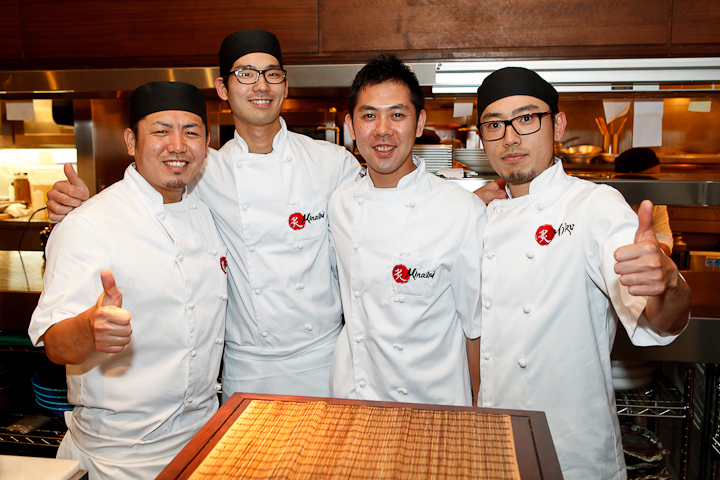 Minami Restaurant strives to create a supportive environment where challenges can be embraced – it’s about you, us and our guests. We’re a people company always looking for passionate, new personalities to join us in creating the energetic Minami ambiance. Please review the application process below and send your resume to teamvancouver(at)minamirestaurant(dot)com – if you would like to drop off your submission in-person, please visit us between 3:00pm – 5:00pm (weekdays). We look forward to hearing from you. We’re a restaurant company with over six decades of history rooted in Japan, an award-winning restaurant in downtown Vancouver (Canada), and global expansion plans. Please review each of the following elements that make us who we are today. We’re looking forward to hearing from the wide range of talents and personalities. Please submit the following requirements to teamvancouver(at)minamirestaurant(dot)com. Please include the title of the position you are applying for in the subject line. Incomplete submissions will not be reviewed. Only submissions with true passion, commitment, desire, and ningenmi will receive the opportunity to meet key players of the team. Most interviews will be scheduled between 3:30pm to 5:00pm on weekdays.